David Van Sant of Van Sant Law, in Georgia has been chosen as blue panel member after being selected as a Georgia Super Lawyer for 2014. Each year, Super Lawyers, a rating service of outstanding lawyers,chooses attorneys using a patented multiphase selection process. Peer evaluations and nominations are combined with third party research, and each candidate is assessed on 12 indicators of professional achievement and peer recognition. Selections are made on a state-by-state basis. The objective is to create a comprehensive, credible, and diverse listing of outstanding attorneys that can be used as a resource for consumers who may be searching for legal representation. Since Super Lawyers is intended to be used in the selection process, it limits lawyer ratings to those who can be hired by the public. In this third step, also known as “blue ribbon review,” candidates are organized according to their main practice areas. Those with the highest point totals from steps one and two are asked to serve on the blue ribbon panel – the same request that was asked of Van Sant. The blue ribbon panelists are then given a list of candidates from their respective practice areas to review, and the panel is asked to rate these lawyers on a scale of one to 10. Candidates are finally grouped into four categories, and those with the highest point totals from each category are chosen. In other words, independent and small firm attorneys are compared with similar small firm lawyers, and attorneys from large law firms compete with attorneys from other large law firms. 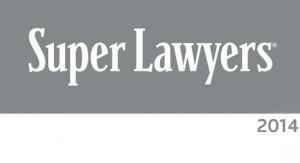 Five percent of the total lawyers in Georgia are selected for inclusion in Super Lawyers. The personal injury attorneys at Van Sant Law, are available to help to answer your questions regarding pursuing a claim for compensation. Please call us today at (404) 991-5950 to schedule a free, no-obligation consultation that can help you to determine whether you are entitled to recover damages for your injuries. Van Sant Law, will strive to protect your legal rights and assist you in holding the appropriate parties responsible for your condition. Contact us today to learn more about how you may be able to seek compensation for your injuries.